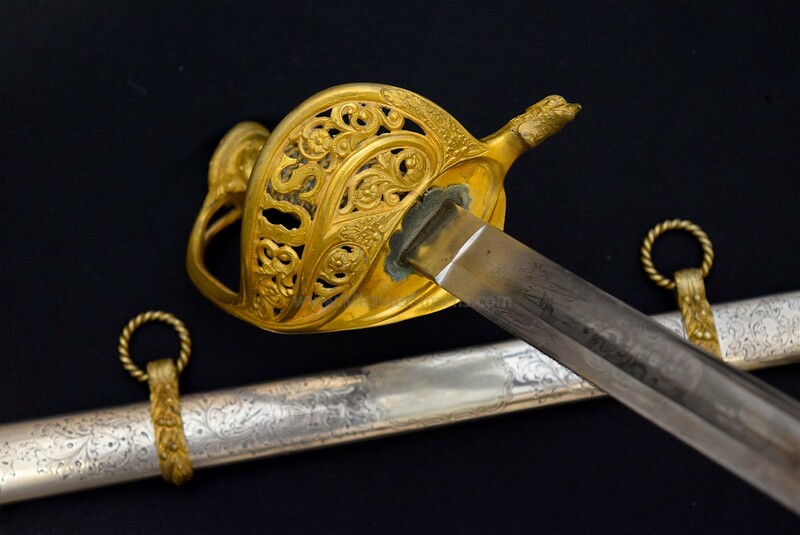 This is a wonderful, Civil War era, presentation grade Staff & Field Officers Sword in excellent condition. 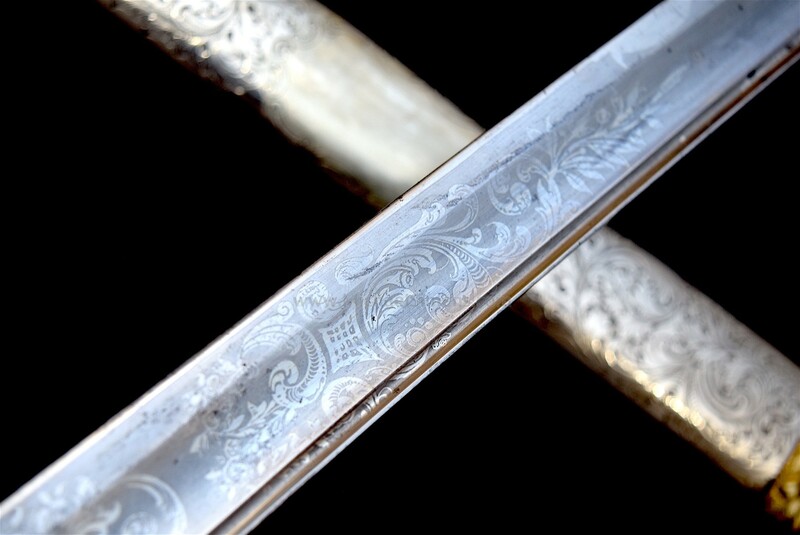 It shows a cast decorative German Silver grip in virtually mint condition. 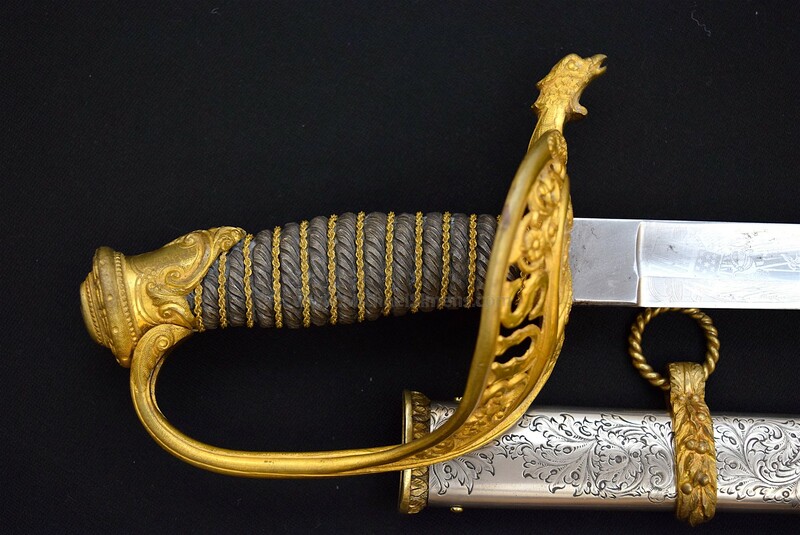 The hilt and mounts (to include the drag) retain 90%+ gold gilt and the beautifully engraved scabbard is of German Silver with silver or nickel plating. The guard terminates at its top with a fierce, patriotic eagle. 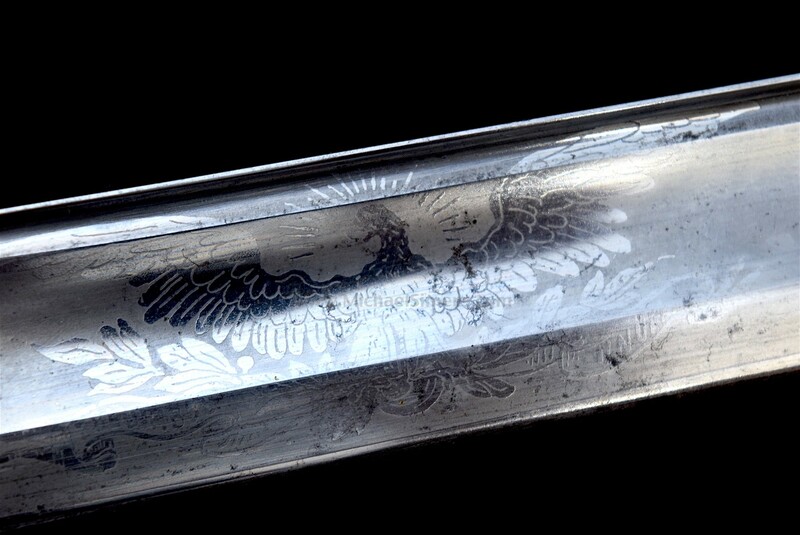 The blade is also near mint, showing 100% frosty etching. 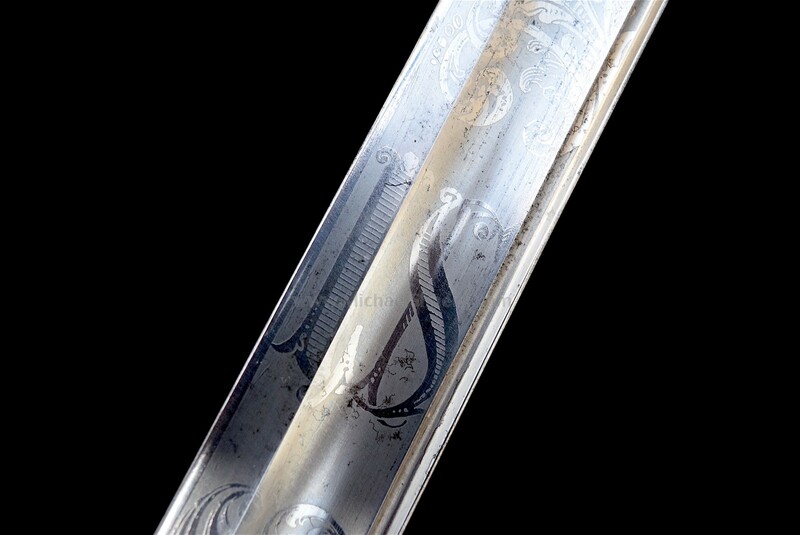 Now this sword does not have a presentation on it, but it was either purchased for presentation purposes or purchased by an officer who wanted a highly decorated sword. 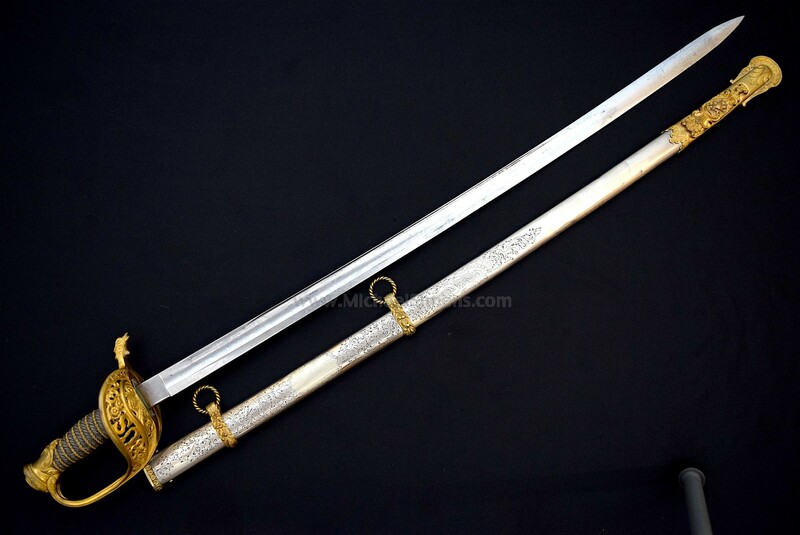 This is a great sword at a great price for a collector that wants a high condition, high grade sword but who doesn't want to pay the $2,000+ premium to find one in similar condition with a name on it.